What does it mean to major in philosophy? Philosophy investigates core principles of ethics, knowledge, and reality that inform decision-making in every career. Through courses in ethics, epistemology and metaphysics, value theory, and the history of philosophy, philosophy majors consider the questions at the core of human experience. They use logical thinking and reasoned argument to consider the nature of reality, the extent of human knowledge, the basis of moral and ethical thought and behavior, the resolution of conflict, and the origin of belief. Philosophy majors clarify their own beliefs, develop a basis for ethical decisions, and formulate a coherent approach to life. They learn how to think logically, analyze problems, assess proposed solutions, communicate clearly, conduct research, and think creatively and imaginatively. 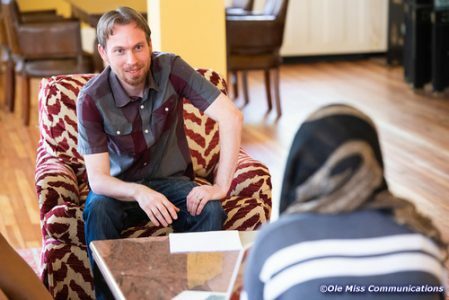 Why is the University of Mississippi a good place to study philosophy? There are seven philosophers in the Department of Philosophy and Religion, with many different areas of expertise, including philosophy of law, language, mind, religion, politics, science, film; epistemology, metaphysics, ethics, applied, moral psychology, Asian philosophy; ancient philosophy, and early modern philosophy. Philosophy offers students the opportunity to perfect their analytical skills in unique areas of study such as the foundation of ethics, the ultimate nature of the mind, God, and reality, as well as the nature of knowledge. 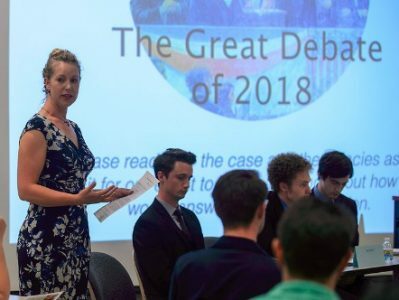 Students have an opportunity to join the Ethics Bowl debate team that travels to regional and national competitions. Our department administers the Frate Fellowship in Bioethics, which allows select students to confront ethical challenges in a real world hospital setting while working with nurses, doctors, and medical administrators at the UM Medical Center in Jackson, MS.
Dr. Donovan Wishon, Assistant Professor of Philosophy and Affiliated Faculty in Neuroscience, earned his Ph.D. at Stanford University. His primary areas of research include Bertrand Russell’s writings on knowledge, mind, and language as well as issues about the nature of consciousness, our introspective knowledge of it, and its relation to the brain. Dr. Wishon’s current research focuses on Bertrand Russell’s changing theories about the relation between mind and matter. His recent publications reconsider Russell’s ideas about sensation and perception, the scope and limits of introspection, the role of conscious awareness in our thought and talk, and the relationship between the mind and the brain, among other topics. He is a leading expert on Russell’s later writings on “neutral monism”—the view that the universe consists entirely of transitory space-time events which are, in themselves, neither mental nor material, but which compose “minds” and “matter” when organized into complex psychological and/or physical causal systems. His co-edited volume Acquaintance, Knowledge, and Logic was awarded the 2016 Bertrand Russell Society Book Prize. What can UM philosophy majors do after graduation? A liberal arts education empowers and prepares students to deal with complexity and change through a broad knowledge of the world. They gain key skills in communication, problem-solving, and working with a diverse group of people. Philosophy exposes students to the core arguments and principles that ground decision-making in nearly every professional venue. Related careers in philosophy include law, medicine, education, business, corporate training, public relations, journalism, counseling, and social services. Hadley spent two years in Dr. Tamar Goulet’s biology lab on research pertaining to soft coral’s response to global warming in preparation for her honors thesis. She participated in competitive, three week shadowing program at the North Mississippi Medical Center in Tupelo, was a tutor for student athletes, and inducted into Phi Kappa Phi. 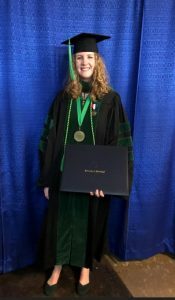 After graduation, Hadley attended University of Mississippi Medical School, where she graduated as the top student in the class. She is completing her internship at UMMC, then moving to San Francisco for a residency in dermatology. Whom should I contact to learn more about majoring in philosophy?